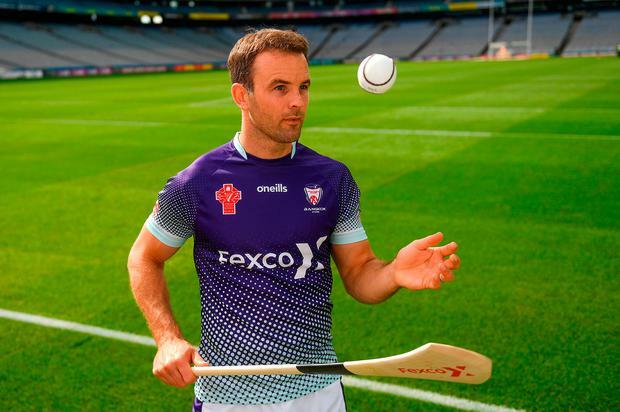 Former Galway captain David Collins has warned that the Tribesmen can't afford to fade out against Limerick in Sunday's eagerly-anticipated All-Ireland final in Croke Park. The reigning All-Ireland champions have coughed up big leads at various points this summer. They led Clare by nine points in both the drawn and replayed All-Ireland semi-finals only to be reeled in before finally squeezing through. Those numbers could be interpreted as a worrying trend but Collins prefers the glass-half-full view. "I am delighted to see them hanging in there," Collins said. "They haven't been down in any game yet. The only team that beat them this year is Limerick in Pearse Stadium. That to me is massive kudos to them to keep it at a level where they are winning games and winning by tight margins. "Yes, they are up by 10 or 11 points and it worries me that they are being brought back to one point or level games, that sort of thing. "I would be fearful enough of that, and I would be fearful of it in the final if it happened against Limerick. Limerick have proven that they are able to stand on a team, with the substitutes they have to come in. If Galway are in that situation the next day, I think we could be in trouble." Collins reckons Limerick will be prepared for the storm Galway have been whipping up in the early part of games. "They seem to switch off for part of the game. Galway this year have come into games like they have never come in before. "For the first 15 minutes, they are really driving at teams and getting good scores up. Other teams seem to be shell-shocked somewhat. "Clare were shell-shocked until they got their feet on the ground when once Tony Kelly started to hurl the last day and drove through, picked off a few points. That settled them down a small bit. "I think it is the shell-shock factor that Galway brought to the games, that the other teams weren't responding to. I don't think it is anything new and I don't think teams are going to worry too much if Galway get a few points ahead of them, because of what is happening over the last period of time. "I do think Galway need to keep the finger on the pulse and drive it over the line when they are at that level because letting Limerick back into it the next day will be dangerous." Joe Canning leads the betting to pick up the Hurler of the Year award for the second successive year and for Collins, the Portuma man will go down as the county's greatest player. But for the Liam Mellows man, Galway are greater than the sum of their parts. "The underestimated guys... (James) Skehill came in off the back of being a sub for a long time and filled the boots of Colm Callanan and has played well all year and has been a real leader. "The likes of the Mannions, the Johnny Coens and David Burke, they have been there and putting their shoulder to the wheel. "Joe will never take all the plaudits, I know that for a fact it has always been a team game for him. "And I think Micheál (Donoghue) has instilled that in the lads the 'teamness' of it and it is not an individual sport whereas previously it might have been and individuals were there for themselves and not for the actual team."